Cystoscopy is a safe, effective diagnostic procedure that can diagnose and address bladder and urinary tract conditions. Cystoscopy is a surgical diagnostic procedure used to see inside the urinary bladder and urethra – a tube that carries urine from the bladder to the outside of the body. This minimally invasive procedure is used to diagnose, monitor and treat a variety of different conditions affecting women. Our experienced urologists frequently perform cystoscopies at our state-of-the-art facilities. At Centric Health, we use the most advanced digital cystoscope, which results in little-to-no pain during the procedure. Our board-certified urologist also uses narrow band illumination to increase bladder cancer detection. The procedure takes five minutes or less, however, you can expect to stay at our facility for 1-2 hours. After emptying your bladder, you’ll be instructed to lie flat on your back. The cystoscope is inserted into your urethra and slowly advanced into your bladder. In order to minimize discomfort, you will be asked to take long, slow, deep breaths to relax your pelvic floor. The urologist will inspect your bladder and urethra, and you may be given an antibiotic if you are at increased risk of infection. You will be able to resume normal activities immediately after the cystoscopy. Some patients experience mild discomfort the first few times they urinate, and may see blood in their urine, feel a burning sensation, or need to urinate more frequently. These are normal side effects that can be relieved by holding a warm, moist washcloth over the opening of the urethra, or by increasing water intake to flush out the bladder. These symptoms may indicate a bladder infection, which occur in less than 1% of patients who undergo cystoscopy. Cystoscopy is a safe and effective surgical diagnostic procedure. Millions of cystoscopies are performed around the world every year. 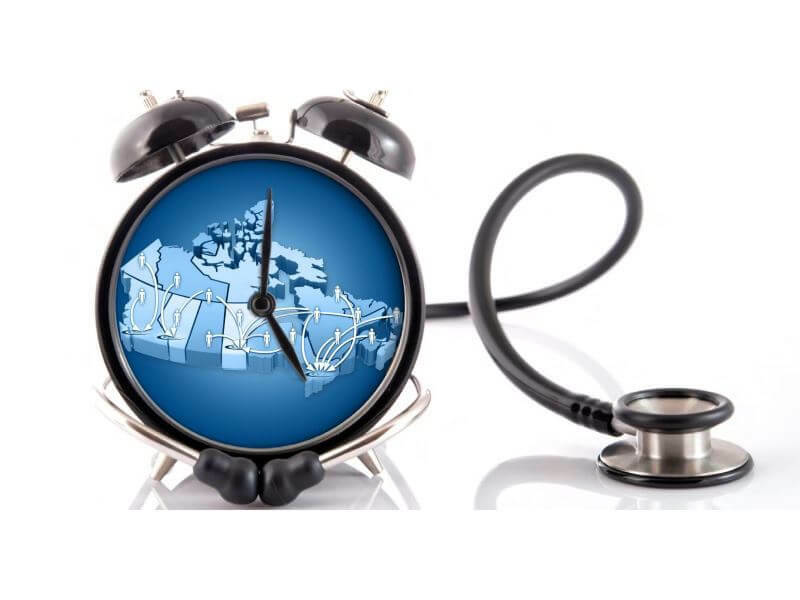 Many men and women from across Canada and all over the world choose Centric Health Surgical Centres for cystoscopy. In addition to our world-class technology, our physicians and urologists have years of experience and a commitment to excellence. Our modern facility and patient-centred philosophy will ensure you have a positive experience at every turn. Let us help you achieve optimal health and wellness in a professional, clinical setting. Patients who currently reside in Alberta, Saskatchewan, Manitoba, Northwest Territories, Nunavut, Yukon, Quebec, Newfoundland, Nova Scotia, New Brunswick and Prince Edward Island are eligible to access this procedure privately at any of the locations the procedure is available in.